Android has a problem. The Play Store is filled with apps that are notorious for invasive permissions What Are Android Permissions and Why Should You Care? What Are Android Permissions and Why Should You Care? Do you ever install Android apps without a second thought? Here's all you need to know on Android app permissions, how they've changed, and how it affects you. Read More , and many apps keep running in the background even when not in use, draining your device’s battery. The culprits are some of the biggest and most popular apps out there. Facebook is definitely ruining your Android. How Facebook Is Ruining Your Android (and What You Can Do) How Facebook Is Ruining Your Android (and What You Can Do) If you care about battery life, performance, or privacy, you're going to want to uninstall the official Facebook app and use one of these alternatives. Read More Snapchat, Google+, and others constantly work in the background even if you’ve shut the app, silently guzzling battery. But while Facebook has TinFoil and Swipe, what can you do about your other apps? A new tool called Hermit is the answer. Hermit is essentially a browser, much like Chrome or Firefox. Its job is to take any website you point it to and turn the website into an app that resides on your homescreen. When you want to create a new lite app, Hermit will show you its entire inventory of popular apps, which include categories like social (Facebook, WhatsApp, Google+, Instagram, etc. ), news (BBC, Time, NYT, etc. ), entertainment (IMDB, YouTube, Plex, etc. ), and several more. You’ll almost certainly get what you want. If you don’t find it, just type in the URL of a site and Hermit will turn it into a standalone app on your homescreen. Of course, the site might not always be functional enough for you to use it as a replacement for an app. For example, the Instagram website doesn’t let you upload images. So if you don’t post photos and only browse awesome Instagram feeds Find The Best Instagram Web Viewer: Your Options Compared Find The Best Instagram Web Viewer: Your Options Compared Read More , making a lite app of the website is sensible. But if you post images regularly to Instagram, then forget about this. On the other hand, making a lite app for Facebook or BBC would be much better than using their official apps, since their mobile websites are perfectly functional. The native Android apps instead end up using too much battery. Right now, you’re probably thinking, “Wait, even Google Chrome lets me make apps out of sites, so what do I need this Hermit for?” Well, as awesome as Chrome for Android is 7 Chrome for Android Settings to Improve Your Browser 7 Chrome for Android Settings to Improve Your Browser These simple but little-known tweaks will make your Chrome browsing experience so much better on Android. Read More , there are a few important factors that make Hermit better. The biggest difference is that Hermit Lite Apps function as actual apps. On the other hand, when you create a shortcut to a website with Chrome, it functions as a browser tab. What this means is that when you tap a Chrome bookmark icon, it will open a Chrome tab with that website; heck, if you have the site open, it’ll still start a new tab for it. It’s annoying! With Hermit, when you tap a Lite App’s icon, it will start that Lite App as its own browser. If the app is already open, it won’t be reloaded, it will just be shown to you immediately. The entire approach is that Hermit’s Lite Apps are “individual” apps, while Chrome’s lite apps are part of Chrome itself. What this means is that Hermit apps can be customized individually, with different settings for different apps, while Chrome-based lite apps will all follow the same rules that your Chrome browser has. Hermit has both universal and individual settings. So in the main Hermit app, you can choose to apply a few settings like allowing notifications from RSS feeds for any app you create. But apart from that, each lite app you make can be customized with its own set of rules. With such a wide choice in settings, you will be able to better customize just how you want some site to appear, without applying those rules to other sites. For example, if you want a fast Facebook experience, switch on Data Saver, block ads, and disallow images. Hermit also becomes a cheat app for certain uses. Let’s say you want to access your phone’s WhatsApp messages on your tablet. WhatsApp Web is great Use WhatsApp Web on Your PC: The Ultimate Guide Use WhatsApp Web on Your PC: The Ultimate Guide WhatsApp Web is a quick and easy way to use WhatsApp messages on your computer. We show you how to use WhatsApp Web on your PC. Read More , but it only works on desktop browsers. With Hermit, you can create a WhatsApp Web lite app on your Android tablet, and sync it with your phone. The Hermit app works best with Android 5.0 Lollipop or newer versions Android 5.0 Lollipop: What It Is And When You'll Get It Android 5.0 Lollipop: What It Is And When You'll Get It Android 5.0 Lollipop is here, but only on Nexus devices. 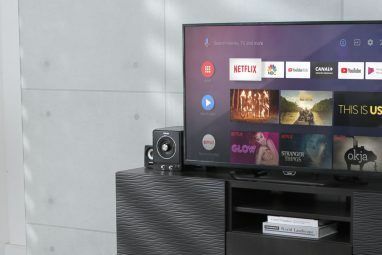 What exactly is new about this operating system, and when can you expect it to arrive on your device? Read More . On Android KitKat, Hermit Lite Apps are all bunched up into one window in the multi-tasking Recent Apps screen, instead of appearing as individual native apps. Also, the free version of Hermit restricts users to two Lite Apps only. If you want to create a third Lite App or more, you will have to pay $4.99. The free version is fully functional, of course, so it makes sense to download Hermit and try it out first with two resource-hungry apps you want to replace. Start with Facebook and Google+, and you’ll see a huge improvement in your phone’s performance and battery life. If you like the app, you can spring for the premium version to make more than two Lite Apps. As someone who uninstalled Facebook and went with a lite third-party app The Best Third-Party Facebook Apps for Android Compared The Best Third-Party Facebook Apps for Android Compared Don't like the official Facebook app? That's okay -- there are some solid alternatives. Read More instead, I have seen a major boost in battery life. With Hermit too, I’ve removed the dying Google+ app and seen more improvements since. 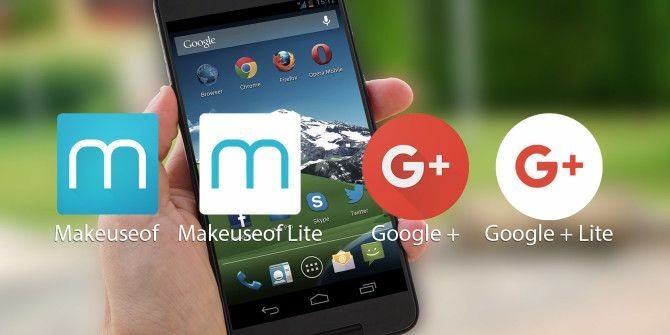 Have you tried installing a lite app on your Android phone? What are your thoughts? 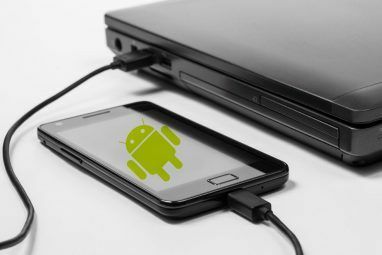 Explore more about: Android Customization, Battery Life. That's good. But it will be great if one could upload the lite app to Playstore. That's good. But it would be great if one could upload the lite app to Playstore. Is there a way for that? I only have use for a lite version of Facebook so far and Metal is my go to for that. If I ever need more, this looks like a great option.